Thornewood Castle's sunken garden is surrounded by century-old brick walls that have acquired a lot of extra character over the years, making them very photogenic. 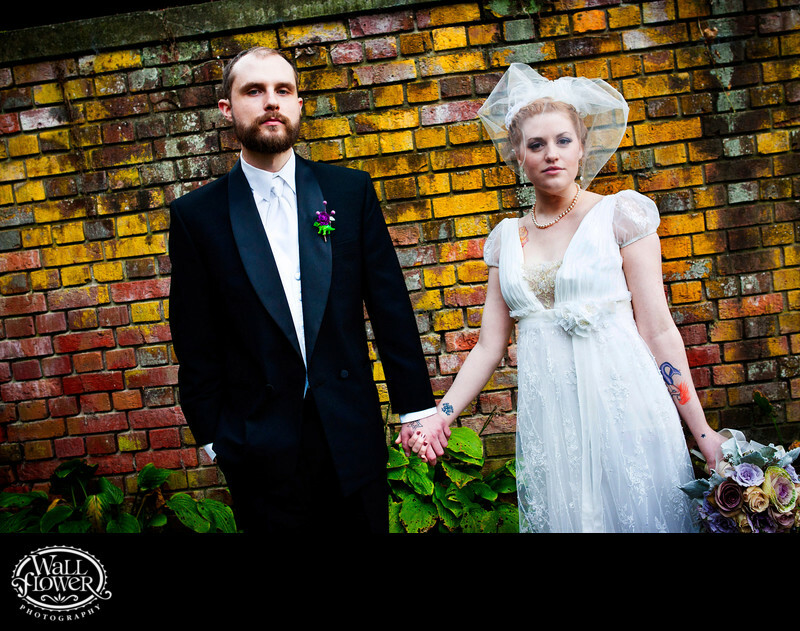 I asked for serious expressions from this bride and groom as they stood holding hands in front of a particularly mossy section of wall. Take a good look at the groom's boutonniere - yes, that's a plastic dinosaur under the flower! All the groomsmen got dino bouts.